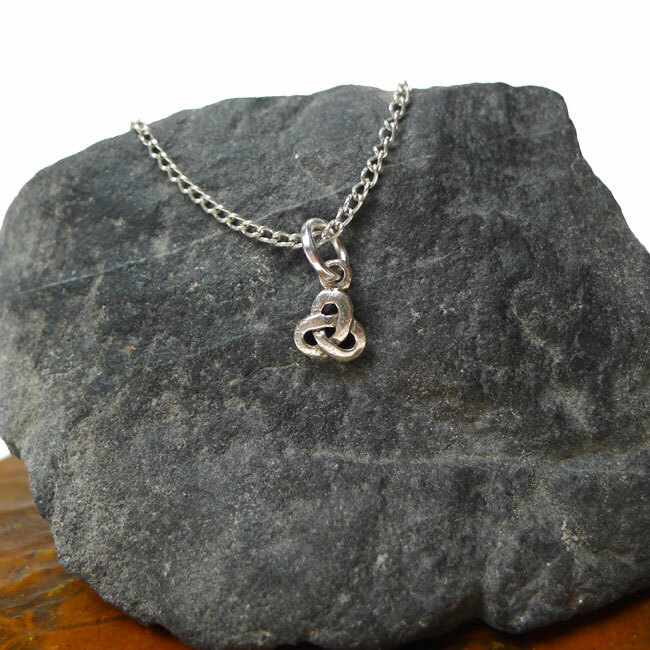 Sterling Triquetra Charm on your choice of necklace chain length - please see last pic for current chain style. 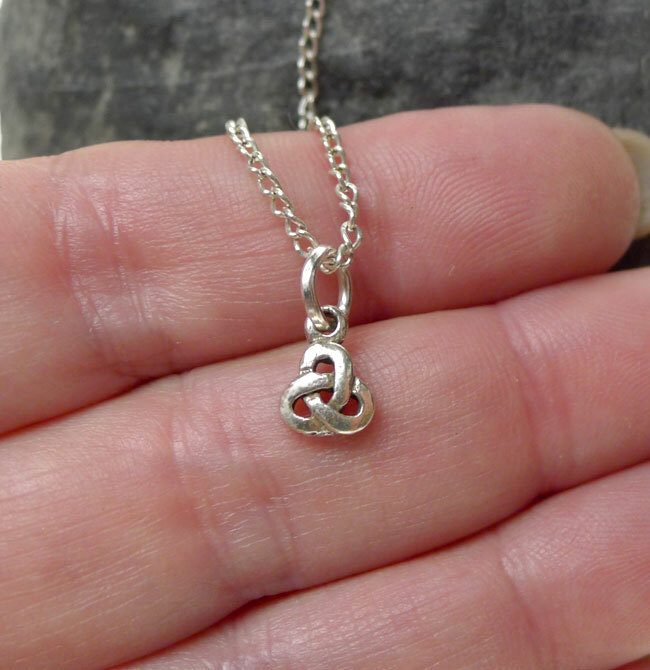 Overall Charm Size, approx : 10mm x 7mm = ~3/8" x 1/4"
Triquetra Symbolism - The Triquetra is a symbol of trinities, often found in Christian and/or Pagan contexts, and has been used to represent many three-fold systems. Pagan / Wiccan / Goddess Symbolism : The Triquetra represents the threefold nature of the Goddess as virgin, mother and crone. It symbolizes Life, Death, and Rebirth, and the three forces of Nature: Earth, Air, and Water. Christian Symbolism : The Triquetra represents the Holy Trinity: the Father, Son, and Holy Spirit. The unbroken circle represents Eternity. The interwoven nature of the symbol denotes the indivisibility and equality of the Holy Trinity. It symbolizes that the Holy Spirit is three beings of Power, Honor, and Glory but is indivisibly One God. 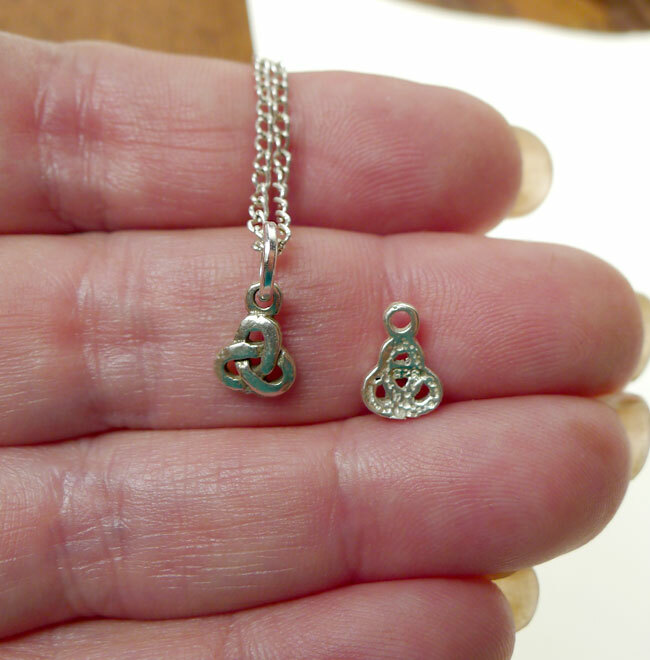 > Choose from a 16" or 18" Solid Sterling Silver Necklace Chain -- see last picture for current chain style. 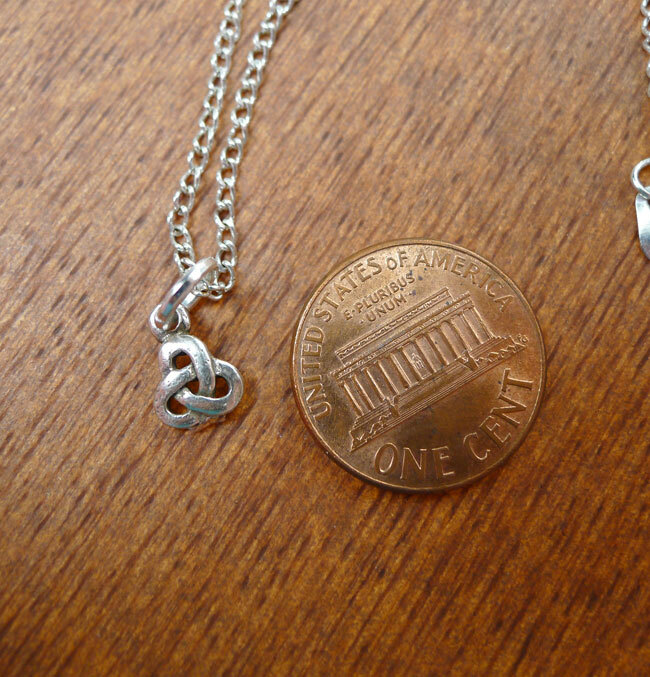 Your Celtic Necklace will come in a cardboard jewelry box with cotton-fill.